17. 02. 2019 13:37 19 (37 - Bertelli Lorenzo / Scattolin Simone): It's fantastic to be back. We had some super stages in the good conditions. 17. 02. 2019 13:28 18 (37 - Bertelli Lorenzo / Scattolin Simone): I didn't expect the first part to be so slippery and I made a silly mistake. A shame, the rest of the stage was good. 17. 02. 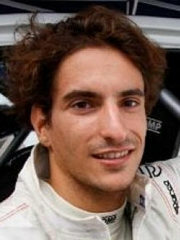 2019 13:20 17 (37 - Bertelli Lorenzo / Scattolin Simone): A clean run, everything was fine. Just checking the pace notes were correct. A really enjoyable stage. 17. 02. 2019 03:47 11 (37 - Bertelli Lorenzo / Scattolin Simone): I didn't remember it well and I didn't brake so much. So far so good. 17. 02. 2019 03:33 9 (37 - Bertelli Lorenzo / Scattolin Simone): There were so much grip but we had a lot of understeer in places. We're here just to enjoy what we have. 15. 02. 2019 17:12 7 (37 - Bertelli Lorenzo / Scattolin Simone): It started to move from the beginning of the stage. I went slowly and they nearly fell off 2km before the end. We were lucky. 15. 02. 2019 15:58 6 (37 - Bertelli Lorenzo / Scattolin Simone): The big moment was over the jump. I think I lost some front aero and I nearly over jumped it. 15. 02. 2019 10:41 4 (37 - Bertelli Lorenzo / Scattolin Simone): We had a spin, and I think we have a radiator full of snow. The temperature is too high and we have to drive in road mode. 15. 02. 2019 10:07 3 (37 - Bertelli Lorenzo / Scattolin Simone): I simply didn't see a junction. I was confused by an orange arrow sign. I lost 30 seconds. 15. 02. 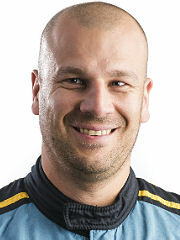 2019 09:53 2 (37 - Bertelli Lorenzo / Scattolin Simone): I haven't driven a rally for two years, so I feel a bit rusty. 14. 02. 2019 21:06 1 (37 - Bertelli Lorenzo / Scattolin Simone): I'm very happy to be back but this stage was much more slippery than I expected.